“The mp3 player is dead, long live the HiRes player.” If one had to summarize the history of Astell & Kern in just one sentence, the following would be an opportunity to use this old adage. However, there is much more to say about this manufacturer, which is operating very successfully thanks to consistent high-end alignment of the last four years in a market that is supposedly no longer is. So were only this year several devices, including the new entry-level model presented AK70. We take this opportunity and take a look at the concept and the current program of Astell & Kern. 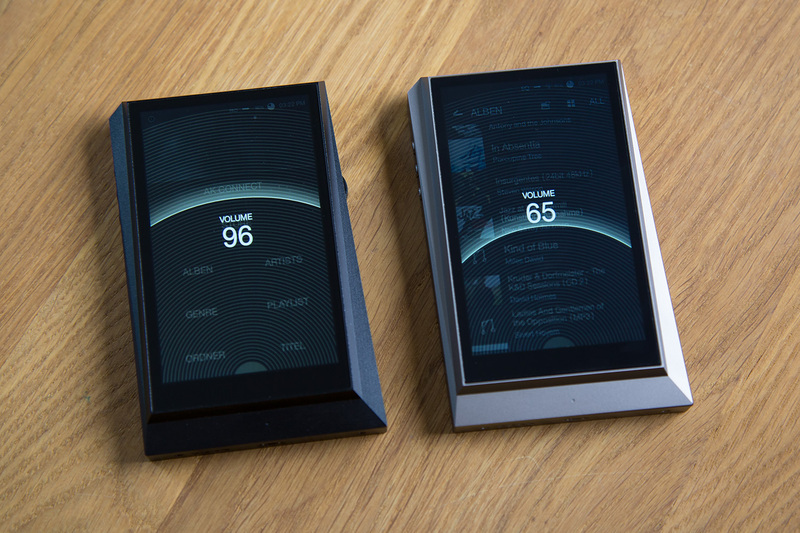 The Astell & Kern brand, the first part of the name is derived from the Latin word for Star (Stella), and was created in 2012 by the Korean electronics specialists iRiver and was launched after the era of the MP3 player – which was for a decade of the main business of the company – but the increasing spread of Smartphones is slowly bringing that to an end. Instead of leading a foreseeable losing battle against these true all-rounders, which make the conventional mp3 players largely unnecessary, it was decided at the right time for a strategic realignment in favor of portable high-end devices, trying thus supposed to begin where smartphones could not be matched: uncompromising quality sound-on-the-go. In respect to this the commercial Smartphone encounters in this respect to its limits, in particular two reasons: firstly, portable storage is also in 2016 often still a finite commodity. Even with devices that are lush dimensioned in this respect, often a significant part of the available storage capacity of the operating system and all kinds of other applications and data is claimed. The accommodation of a broader music library to CD or High resolution, so can be a real problem, especially as the possibility of upgrading via memory card is generally lacking and streaming from the cloud is in view of the size of the files also hardly an option. On the other hand enjoys the theme sound quality in smartphones generally not marked priority in this segment are simply other features in the foreground. Special D/A converter and other technical refinements that make for a particularly detailed and dynamic sound, you could not find accordingly vain. 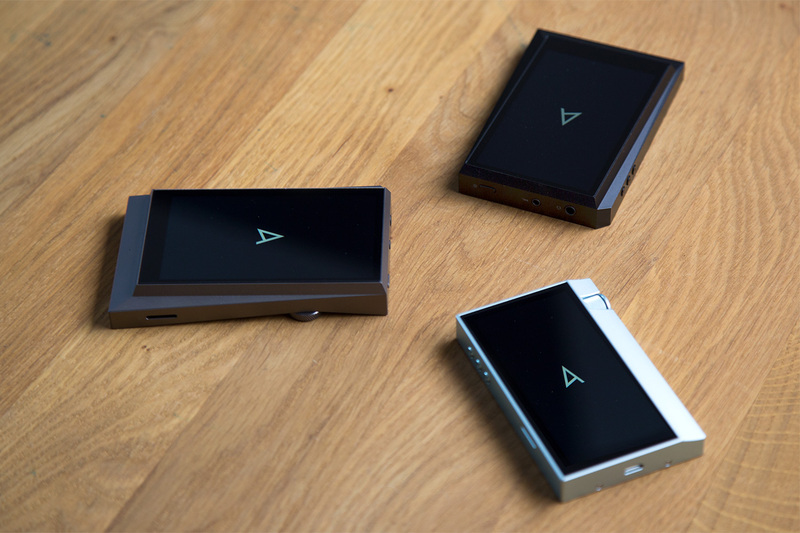 Astell & Kern solve their players exactly these two problems and we will look at below the specifics of the current model, consisting of AK380, AK320, AK300 and AK70, in detail and some other components of the Astell & Kern ecosystem take in the views. First, it should be noted that all of these models have certain similarities and similarities – there might be a most notoriously example call to the unconventional style. Thus all four devices via aluminum housing, which are milled from a single block, and apart from the rather straight AK70 with futuristic angles and edges inevitably certain science fiction arouse associations. In addition, however, there are also common features: About an elegant rimmed rastering Volume Control The volume can be adjusted with the delicate three mechanical buttons allow quick access to play / pause and the next or previous track. Primarily, the operation is done, however, via a touch screen, the underlying sensor button calls by touching the main menu. In addition, the Astell & Kern player feature over two headphone outputs, these are the on / off switch at the top. The second output is different about the Chord Mojo not just intended for simultaneous playback on a second headset, but as balanced 2.5 mm designed jack connection that certain headphone models such as the new Astell & Kern AK T8iE MKII as an alternative to conventional unbalanced connection support. Finally are as common features the Micro-USB connector on the bottom, and the microSD slot on the right side to say. Currently all Astell mentioned support & Kern player microSD cards up to 128GB, the internal memory varies from model to model (AK380 – 256 GB, AK320 – 128 GB, AK300 – 64 GB, AK70 – 64GB). Exclusively reserved the 300 series is a small 4-pin connector, to which we respond in more detail below. Before we dedicate ourselves but the installed transducer technology and the various functions of the mobile player. The two larger models come with two high-quality digital-to-analog converter (AKM AK4490), d. H. The left and right channels can be changed strictly separated by the dual mono principle. And so even the extreme resolution is not a problem – the AK380 natively PCM data to 32 bit / 384 kHz and DSD256, the AK320 is limited to 24-bit / 192 kHz and converted DSD64 / 128 files internally in high resolution PCM signals with 24-bit / 176kHz. The AK300 has only a single D / A converter of the aforementioned type, in addition to the supported formats or resolutions are identical to the next larger model. The same goes for the AK70, where however the older of Astell & Kern player known Cirrus Logic CS4398 converter chip operates. Furthermore worth mentioning in this context is the high-precision “200 Femto Seconds VCXO reference clock”, exclusively in the 300 series performs their work and where the so-called jitter – temporal inaccuracies in the conversion of the signal, affecting the sound – to a minimum reduced. Deviations from the above values in part will be when using AK70 and Co. in their secondary function as a USB DAC. Here PCM and DSD files that are located on a PC or Mac can be transferred via USB to the player, converted there and finally as an analog signal at the output. While considered the flagship AK380 also in this mode, no restrictions, the other three units operate here with a maximum of 24 bit / 96 kHz and DSD data is converted accordingly. Moreover, the Astell & Kern player can be employed in various streaming scenarios. So on the one hand of course trekking radio standard Bluetooth is supported, which is likely to be a second choice despite aptX support in terms of sound quality in general, on the other hand allows the integrated WLAN module both access to online streaming services as well as integration in a local DLNA -Network. In the latter case, for example, be accessed from the outside to the music library of the device, but also the player itself on a computer or NAS. Even the use as a streaming client to the stereo system including remote control via AK Connect app for iOS and Android is also possible. Before we return now again to the above-mentioned 4-pole connector and thus the range of accessories, was briefly one final feature of Astell picked & core software, but this is again limited to the 300 series: The developers have a very neutral working save and extremely precise adjustable parametric equalizer (PEQ) integrated, which allows personal settings. Of course, subsequent interventions in the sound involve potentially also always the danger selfsame to make worse at the end, although the possibility is to make certain adjustments to specific genres or reproduction systems quite welcome. Finally, we now want so to say a few words about the available extensions. 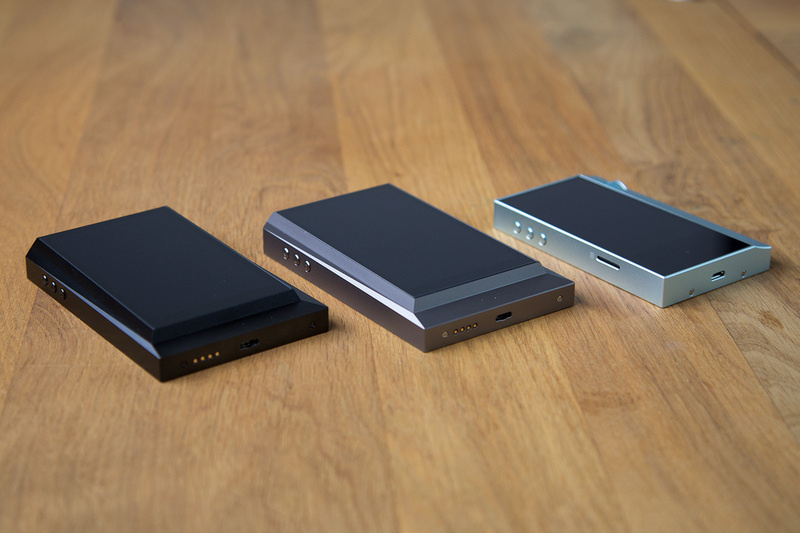 Here are mainly the dock named Cradle (PEM13), the compact amplifier AMP (PAF11) and CD ripper (PEM14) call. The latter is designed for all players mentioned here and allows – the name indicates basically everything already – core to copy CDs easily and directly to the Astell & Player.The Cradle (300 series) initially takes over the function of a conventional loading dock, but also allows the music signal via the XLR outputs on the rear symmetrical output. Here comes the above-mentioned 4-pole terminal into play, of the audio signal – also symmetrical – transfers from the player to the cradle. The AMP (300 series), the interface makes is own, the signal is passed in this case analogous to a special amplifier stage, which was specially developed for high-impedance headphones. 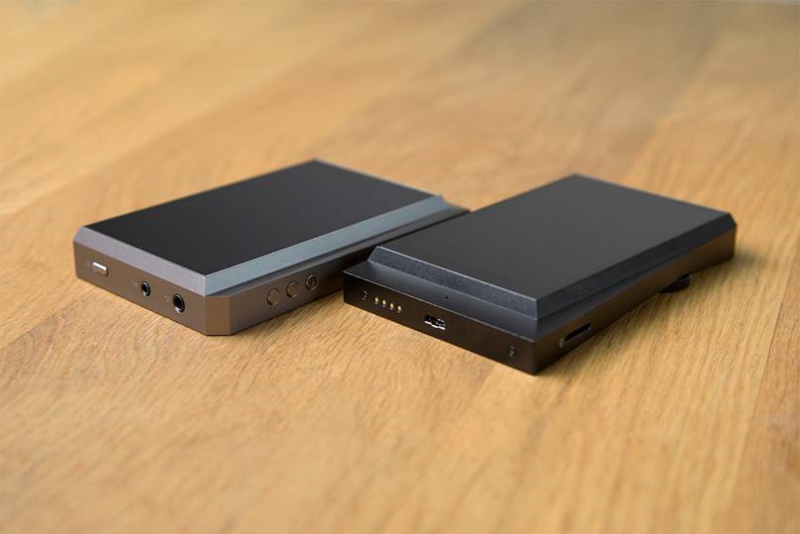 We have reached the end of our great overview about the mobile high-end players of Astell & Kern. All those on the go without compromising on uncompromising good sound and are looking for the right player, we can highly recommend one to come and make the sample’s example. All Mentioned models can of course be Subjected to intensive to listening test in our large headphone studio.